Our dealership proudly serves customers of the greater Chicago area, offering an extensive selection of new BMW cars as well as great used cars available for even better prices. Drive home the X5, M3, or brand new i3 today for a great price. Friendly sales staff works personally with each customer to make sure they find exactly what they are looking for. If the price is a concern, our financial specialists are trained to work with customers to find the best payment plan and prices for their lifestyle. If your car is in need of a service, Perillo BMW’s service and parts departments are here to help. From an oil change to major repairs, our trained technicians will work hard to get your car back in tip-top shape. 100% customer satisfaction is guaranteed, ensuring that you drive your car away looking and feeling like new. The department keeps high-quality BMW parts in stock, using the same parts your vehicle was built with for repairs. 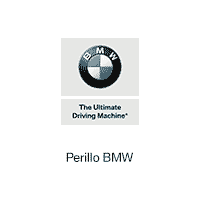 Serving the greater Chicago area, Perillo BMW is here to help you drive home the car of your dreams today. Located at 1035 N Clark Street, Chicago, IL, 60610, we encourage all visitors to swing though, including those of the Naperville, Evanston, Park Ridge, and Oak Park areas. Contact us at any time if you have questions regarding the dealership, inventory, our services, and more at (312) 981-0000. The Downers Grove location offers Bentley models and Lamborghini models. You won’t find a better selection of BMW models, for the right price, than at Perillo BMW, which is always stocked with the latest and best BMW vehicles, as well as Perillo’s Certified Pre-Owned (CPO) center. Next up, the legacy of Perillo’s luxury vehicles continues at this exotic location, which offers vehicles from Bugatti, Rolls Royce, and more. If you’re in need of top-notch automobile service for an affordable price, than Perillo’s Discount Service Center is the place to go. And lastly, your vehicle deserves the very best care, which is why you should take it to Perillo’s Body Shop. To learn more about Perillo Motor Cars and its various services – or, of course, to look into a new vehicle – visit us anytime at any of our locations!